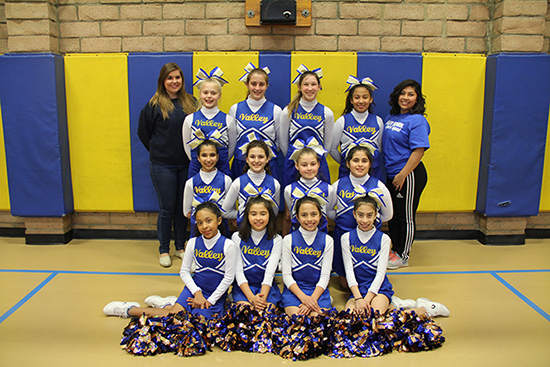 The Valley School Spirit Squad promotes and upholds school spirit, encourages good sportsmanship, and represent the school as positive role models in our community. Team members are taught the values of self-discipline, confidence, persistence, and teamwork. We expect our members to be role models both on campus and off, and to be in good academic standing. Our squad performs at various athletic games, parades, and community and school events throughout the year. This year, the Spirit Squad will be introduced to the athletic components of cheer including pyramids, tosses, jumps, tumbling, and various stunts. 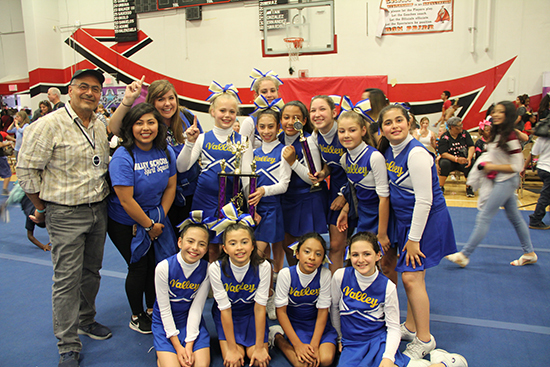 The team will have the opportunity to compete in the spring at regional competitions in the southern California area. This is a wonderful opportunity for the members to be exposed to competitive cheer! *Basketball season games will be posted in January 2018.